My oldest son turns five this September. While that may seem like a long time away to some, I feel like it’s just around the corner! I’ve already booked his party date and I have been collecting decorations and treats for the goody bags for some time now. The only item on my to-do list for his birthday that I haven’t really out any time into is his birthday gift. So when the opportunity to review any item of my choosing from ATG Stores presented itself, I had my little guy’s big day in mind! ATG Stores truly has something for everybody. 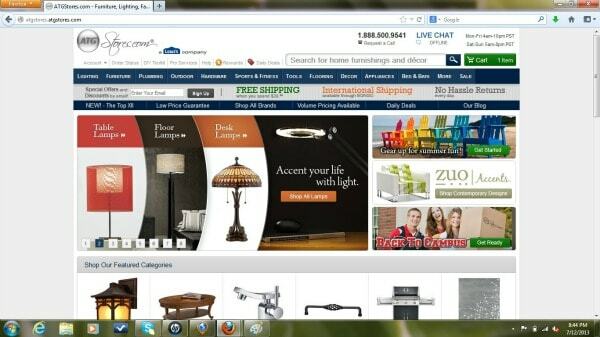 Everything from furniture, lighting, plumbing, appliances, hardware, toys and more. Whatever you need or want, ATG has it! There mission is to create an exceptional value for their customers by providing the best selection of products with the highest level of prompt and professional service, all while maintaining the highest level of personal and corporate integrity. Located in Kirkland, WA and established in 1999, ATG Stores operates an extended family of 500+ specialty online stores. I was given the opportunity to choose any product from ATG Stores vast selection for review. After browsing the home furnishings and making a little wish list for myself, I headed to the Kids section in search of the perfect gift for my son. I browsed through educational toys, pretend play toys, puzzles and games, and collectibles. 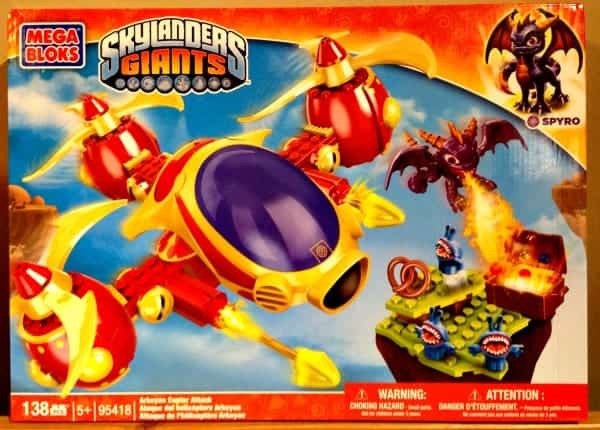 As I searched through a ton of great options, I stopped when I got to the Mega Bloks Skylanders Arkeyan Copter Attack. My son is a huge Skylanders fan and every time we go out shopping he asks if he can have this set. I’ve been showing him the age recommendation on the box for ages five and up, so I thought it would be perfect to get this for him for his fifth birthday! I know he is going to love this set. After I placed my order online, I immediately received a confirmation email. I then received an email telling me when my item was expected to ship, and another when it actually shipped (including a tracking number). I was really pleased with the whole experience. I would definitely shop with ATG Stores again. You can see the wonderful selection ATG Stores offers by visiting their website. While you’re there, sign up for their email list for exclusive insider deals and coupons. You can also find them on Facebook, Twitter, Pinterest, YouTube, and their blog. Haven’t heard about them in a long time. They used to sponsor giveaways and I won from one of them. They do have a large selection of stuff.